Cramming the pillow I’d brought from home a little more to my left, I attempted to placate the cramp that was forming in my back. After years of slumbering on a waterbed, this rock hard hospital bed felt like a torture rack. There I was trying to create a bit of comfort and counting down the minutes until I could scoop up my newest bundle and check-out when my midwife slid a chair beside me. Huh? Sure, before I knew better, I’d taken the pill for the first two years of my marriage (and suffered the daily nausea and monthly weep-fest), but in the previous eight years (prior to the baby I’d literally just delivered) I had only practiced Fertility Awareness (and successfully so, I might add). Clearly, this fact was documented in my chart and seeing as she and only one other midwife were my primary caregivers it seemed unlikely she was clueless to my choice. Mind you, she hadn’t saddled up to my bedside to chat about my thoughts/desires on family planning options. No, she was there to hawk a prescription and she was using fear to get the job done. Looking back now it seems easy enough, I should have told her to go away, but something was happening behind the scenes to which she was not privy. My faith was still only in the elementary stages and my marriage had been undergoing an intense trial (we were actually in counseling at the time), but I hadn’t shared that fact with my caregivers. It was like she was my temptress in the desert, come to offer me promises during my weakest hour if only I’d bow down to her plans. There I lie, sore from having just pushed a 7pound-something human out of a normally tiny place, thoughts swirling with the knowledge of the current state of my marriage and suddenly, illogically terrified that before there was time for mama-birth-amnesia to set-in I’d be back in this very hospital grunting and groaning baby number five into the world. Planning to breastfeed, I suggested that the Lactation Amenorrhea Method (LAM) had certainly worked well for me in the past (extending my postpartum infertility for more than six months each time). I also inquired how this drug might affect my newborn. No worries she told me, staying the course on her mission to get me contracepting, she’d just write a low level prescription for a progestin only pill. I stammered and stuttered and ultimately caved under the pressure. Rolling my van up to the drug store drive-through a week later, everything inside of me was screaming NO, but I stuffed those thoughts and handed the sheet of paper to the girl behind the counter. During what seemed like an extra long wait time, I ran over the options in my head again. Then in what I can only chalk up to the grace of God, the pharmacist returned to tell me that they were out of those pills. She returned the white sheet of paper and informed me I’d have to try back in a few days. I never returned. Comparatively speaking, I should count myself as lucky because a number of my Catholic girlfriends faced more egregious treatment during their postpartum visits. One friend’s doctor found it hard to take no for an answer, so he tried five times in the course of one conversation to strong-arm, err I mean persuade her to allow him to insert an IUD. But the prize for un-professionalism goes to the doctor who upon being told no, threw the woman’s chart in her lap and said, “I’ll see you back here in nine months” as he stormed out of the exam room. I guess the free lunches and pharmaceutical kick backs must be pretty awesome for these obstetricians to want to dissuade a repeat customer? “Knowledge is Power” was a theme song lyric in one of my favorite childhood programs. Indeed, knowledge is a powerful tool and with it we can make right choices. Unfortunately, there’s not much education going on in the gynecologist’s office. And I’d even boldly assert that women are intentional misinformed just as I was on the day my midwife undermined my beliefs and used fear-mongering to pass off a prescription. Let’s do a little fact checking. 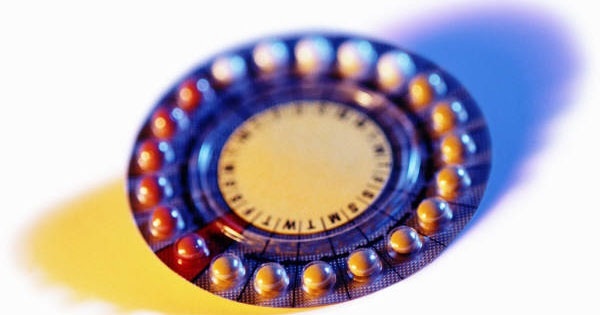 The Pill utilizes synthetic estrogen/progestins to trick the pituitary gland into producing less Follicle Stimulating Hormone and Lutenizing Hormone in an to attempt to suppress ovulation. However, studies show there is a 2-8% chance of breakthrough ovulation in any given cycle while on the Pill, so it has two other built-in functions. The back-up measures of the Pill cause a thickening of the cervical mucus (to slow sperm motility) and a depletion of glycogen in the endometrium or lining of the uterus. This last mode of operation is abortifacient because it prevents a fertilized egg from being able to implant, thus forcing an early abortion. The mini-pill, or progestin only pill, that my midwife was offering relies predominantly on the the abortifacient mechanism of creating an inhospitable environment for implantation should a new life have been formed after a breakthrough ovulation. Sadly, I didn’t know this fact at the time and it wasn’t advertised to me. Additionally, the package inserts for the Pill offer a laundry list of possible side effects- from weight gain and decreased libido to blood clots and heart disease. The IUD, an abortifacient device, that my friend’s doc was so eager to implant in her just vacated uterus has a high rate of effectiveness, so long as you don’t mind the possibility of headaches, acne, breast tenderness, irregular bleeding, mood changes, weight gain, ovarian cysts, cramping, pelvic infection, inflammation of the endometrium, perforation of the uterus, endometrial or cervical cancer and high blood pressure. A popular form of birth control in the 1970’s, Dalcon Shield was forced to remove its IUD from the market and declare bankruptcy after paying out millions of dollars in malpractice suits. You might assume the new Paraguard and Mirena IUDS are an improvement, but lawsuits filed against Bayer, Mirena’s maker, tell a different story (well it’s really the same old story of harm done to women). That LAM plan that I mentioned to my midwife has no negative side effects on the body and it is completely free. She may have snubbed her nose at my suggestion, but over the course of my mothering years it, along with the Symptom-Thermal Method of Natural Family Planning, has proven successful again and again. In fact, with my last three children I enjoyed a delay in my fertility (meaning no periods) for twelve to fourteen months beyond childbirth! I suppose to be fair, I have to admit that I am not a reader of hearts so I do not know for certain the motives of these physicians. However, if their pledge is to first do no harm than their actions don’t support that position. In each of the three anecdotes I relayed (and I have LOTS more), my friends and I had not been contracepting before our pregnancies, we were not seeking birth control and we all expressed a hesitancy toward if not an out-right refusal of the unsolicited prescriptions. Considering that birth control carries mild to serious risks and unpleasant side effects, women who opt in will require at least an annual (if not biannual) visit to their doctor. And if she suffers from depression, infection, cysts, etc. as a result of the birth control than she’ll need even more trips to the doc. Clearly, there is money to be made by both the birth control manufacturers and the doctors. So what’s a woman to do? Well, like I said, knowledge is power and an informed woman has the power to make better choices. There are safe, effective means of postponing pregnancy. They require education and little more and they do not harm the body. In fact, poor women in India, trained by sisters in Mother Teresa’s religious order, enjoy a 99.4% effectiveness rate in practicing a method of Natural Family Planning (NFP) according the World Health Organization. That should make you wonder why the Gates Foundation and our government are so persistent in their desire to export birth control drugs/devices to poor nations if the same end could be achieved through simple education alone. In parts 1 and 2 of this post series, I discussed the necessity for women to reclaim their wholeness and recognize their inherent feminine genius. We considered the intricate and readable dance of the female fertility cycle and now we see how mis-education/no education leaves women vulnerable to a healthcare system which too often places financial gain above all else. But good news lies ahead because once we unmask deceptions, review the science and evaluate the options, we women will then be truly free to make wise decisions that respect our whole selves: body, mind and spirit.